Yasmeen Lari (b. 1941) is a groundbreaking architect making a great impact through a second act focused on social justice. Born near Lahore, Lari studied architecture in England, graduating from Oxford Brookes University. Returning to Pakistan in 1964, she became the first woman to found an architectural practice there. She worked on housing and commercial projects like this giant, modernist hotel in Karachi and other big developments in Pakistan’s biggest city as she built a successful business. After her retirement from conventional practice in 2000, Lari turned her talents to serving a significantly different sector. Founding an NGO (the Heritage Foundation Pakistan), she went to work in disaster relief and cultural conservation throughout her home country. In this role she has built over 36,000 houses for residents left homeless from floods and earthquakes. Her projects make use of traditional techniques and indigenous materials to be both economically feasible and psychologically comforting. This work has been the basis of her books on squatter settlements, Muslim heritage, traditional architecture, and also guides to architecture in major cities. Lar’s work has been recognized by the United Nations, the Sitara-e-Imtiaz from the Government of Pakistan, the Fukuoka Prize for Arts and Culture, and a television program (“Rebel Architecture”) produced by Al Jazeera and focusing on architecture as activism. Ruth Rivera Marín (1927-1969) was born in Mexico City to famous parents, novelist María Guadalupe Marín Preciado and muralist Diego Rivera. As the first woman to enroll in the College of Engineering and Architecture at the National Polytechnic Institute, Marín graduated in 1950 as an engineer-architect. By that time she had already begun teaching painting, beginning a life’s work engaged broadly in the arts and arts education. After studying urban planning in Rome, in 1952 she returned to her alma mater as a teacher of architectural theory and urban planning. Through 1964 she led planning for the Mexican Secretariat of Public Education for rural schools and continued penning a significant body of scholarship with writings focused on architecture, urbanism, planning and heritage. She also collaborated on the design of significant cultural institutions, including the Museo Nacional de Arte (MUNAL), El Museo Experimental El Eco, and the Museo Diego Rivera Anahuacalli, all in Mexico City. The Anahuacalli Museum (above) was founded to house her father’s extensive collection of pre-Hispanic art and material culture. Built of black volcanic stone, its form follows traditional indigenous architecture, especially that of the Teotihuacan culture. Between 1959 and 1967, Marín exercised her interest in the maintenance of cultural heritage through a series of adaptive reuse projects including the Regional Artesan’s Museum and Cultural Center (formerly a prison), the Cultural Center Ignacio Ramírez (formerly a convent), the Museo de la Revolución (formerly a house) and the San Carlos Museum of European Painting (formerly a palace). Her interest in cultural institutions led to her association with many organizations, including the International Union of Women Architects (which she served as president). After her death, the Architecture Center at the Instituto Nacional de Bellas Artes was named in her honor. In a trailblazing list of firsts, Norma Merrick Sklarek (1926-2012) was the first black woman to be licensed to practice architecture in the US–specifically, in the states of New York and California (1954 and 1962, respectively)–and the first to be elected a fellow fo the AIA (1980). Born in Harlem, New York, Sklarek credited her father, a physician born in the Caribbean, for teaching her carpentry skills and inspiring her interest in architecture during the Great Depression. After high school, Sklarek attended Barnard College before completing her architecture degree at Columbia in 1950 with only one other woman as a classmate in the program. Yet her credential was not enough to overcome her race, and she failed to find work in an architecture office, even after applying to nineteen of them. Instead, she went to work for the New York Department of Public Works until 1954, when she earned her architecture license. Soon thereafter she started her rise through the administrative structure of many of the country’s biggest firms. Her roles tended to be managerial, since design leadership required client presentations, which was still seen as an unacceptable role for a black woman, as her obituary attests. In 1955, Sklarek was hired at SOM and stayed there until her move in 1960 to Los Angeles to work at Gruen and Associates. During her two decades there, she earned high rank as director, working closely with César Pelli, who was partner there 1968–1976. At Gruen, Sklarek oversaw staff, coordinated major projects including the Pacific Design Center (1975, above), San Bernardino City Hall (1972), and Embassy of the US in Tokyo (1972), each of which is credited to Pelli. Between 1980 and 1985 she worked for Welton Becket Associates, directing the construction for Terminal One at LAX, for which she was given credit as project director. In 1985 Sklarek founded a female-led firm (Siegel, Sklarek, and Diamond) that found quick success. Four years later she joined Jon Jerde Partnership as principal. She specialized in commercial developments and shopping malls (like the Mall of America, 1989) until her retirement in 1992. Born in Hunan Province, China, Xiu Zelan (1925-2016) studied engineering and architecture at the National Central University in nearby Chongqing. After her graduation in 1947, she first found work as an engineer in the local railway bureau. After moving to Taiwan three years later she designed her first independent architecture project, a new railway station at Pan-ch’iao. Its success allowed her to found her firm, Tse-ch’un Architecture, under whose banner she designed such public projects as teachers’ clubs, libraries, and schools. Blending modern conveniences with traditional motifs, her work caught the attention of Chiang Kai-shek, then leader of the Republic of China, who had established his New Life Movement almost thirty years before commissioning a project of her in 1965. The Chung-shan building on Yang-ming-shan was designed to house official state ceremonies for the National Assembly of the Republic of China. As a symbol of modern China, the sprawling hall of over 190,000 square feet, adorned with traditional hand-crafted lighting and furniture, manifest Chiang’s nationalism in the face of domestic, Western and Japanese threats; its design was recorded on the 100 New Taiwan dollar bill (above). In later decades and with a rising profile as one of the first women to practice architecture in Taiwan, Xiu designed internationally, including extensive work in Saudi Arabia, as well as garden cities in the Taipei suburbs (the latter with her husband, Fu Chi-k’uan). Nina Alexandrovna Aleshina (1924-2012) studied music and architecture before graduating in 1950 with her degree from the Moscow Institute of Architecture. After working for a time with an architect who was involved with big government projects in the capital like the metro and the Seven Sisters, she also engaged large civic projects, including the metro system, for which she was the chief architect from 1981-1991. 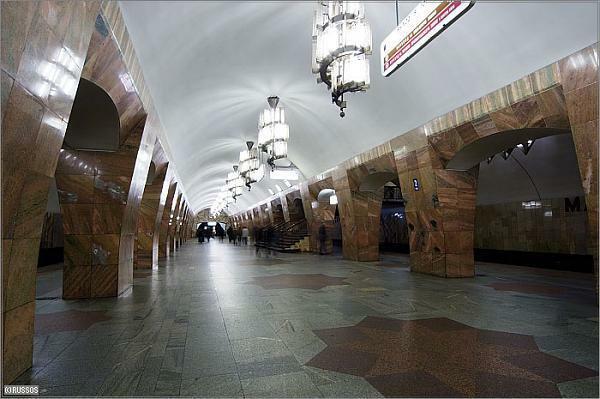 Also author of a book on the metro system, Aleshina is listed as the lead architect of nineteen specific stations, for which she provided designs and oversaw construction, beginning with the Vorobyovy Gory station in 1959 and beyond the Chkalovskaya station of 1983 (above). While certain functional commonalities exist among them all, each remains a highly individualized design. 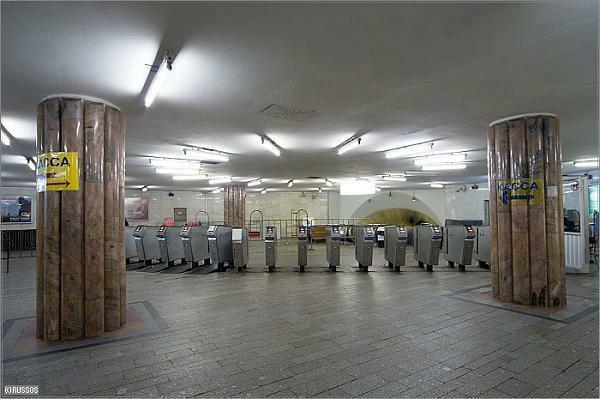 As a group, the stations reveal a broad material palette: concrete, brick, tile, granite, aluminum, bronze, and marble of every imaginable color. Lighting systems vary from large and showy custom-made hanging lamps to sleek hidden fixtures. As a significant part of travelers’ experience, ceilings of the platform areas received special attention. Each station revealed a specific and unique aesthetic, many drawn from recognizable Soviet themes: patterns drawn from Ryazan embroidery and other folk motifs, nature scenes featuring bears and reindeer, and homages to famous Russians like the chemist whose work prefiguring the periodic table is portrayed in cast panels and a famous aviator whose namesake station features stylized welded elements, arches and pylons like wings and fuselages. In a more abstract vein, the 1979 Marksistskaya station–one of her personal favorites–was designed to convey the purity and simplicity of Marxist ideology (see it here, here, and here). Recipient of the state medal For Labor Valor, Aleshina received prestigious awards throughout her career, including designation as Honored Architect of the Russian Soviet Federative Socialist Republic, Knight of the Order of the Badge of Honour. One of the first women to qualify to practice architecture in Asia, Urmila Eulie Chowdhury (1923-95) was educated broadly as a diplomat’s daughter. After to travels and studies in Japan, the United States, and Australia–where she earned a degree in architecture from the University of Sydney in 1947–she went to work as an architect for the Government of Punjab. Just four years after India’s independence, in 1951 she was swept into the vast team of local architects, headed by Drew and Fry and Le Corbusier, working on the new capital at Chandigarh. In particular, she designed the Home Science College, the Women’s Polytechnic (above), and housing for ministers. She also provided translation services for Le Corbusier, who could not understand English. Later she would complete formal translations of Corbusier’s writings into English, and write for significant professional journals like Progressive Architecture and Casabella. Finding a niche in administration, between 1963-65 Chowdhury directed the School of Architecture in Delhi and filled increasingly significant government positions as Chief State Architect of Haryana (1970-76) and Punjab (1976-81) provinces. Member of both the Royal Institute of British Architects and the Indian Institute of Architects, she founded the French Alliance Le Corbusier of Chandigarh. Chowdhury is at the center of a very recent turn in India to reconsider its architectural history from a feminist point of view, and to seek contributions from women that have been otherwise overlooked. 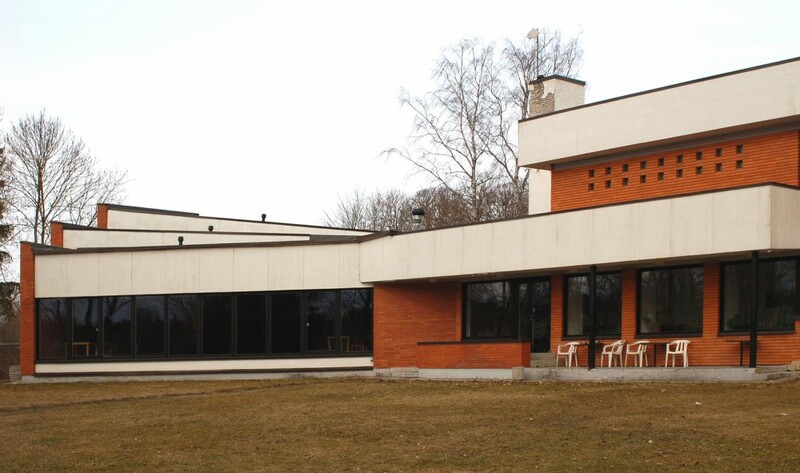 One of the first women to practice architecture in Estonia, Valve Pormeister (1922-2002) gained wide recognition for her ecological approach to Nordic Modernism. After first studying landscape architecture at Tartu University and the Estonian State Art Museum, and briefly working in landscape design, she heeded the state’s need for greater numbers of architects in the post-Stalinist era and started designing buildings. Her earliest significant work was completed for the Estonian Agricultural Project (Eesti Põllumajandusprojekt), a state design institute, in rural areas. Pormeister’s first project was a segue way between her professions: an exhibition building in Tallinn called the Flower Pavilion (1960). Modernist in spirit, it was amenable to the rolling landscape in its tiered form stepping up the hill and use of natural materials like local stone. Potentially inspired by Finnish modernism, it led to similar garden pavilions, and then to bigger projects still tied to the earth in functional, as well as formal, ways, each of which tended toward accommodating both modernist and regionalist tendencies: a Botanic Garden (Talinn, 1963), the Kurtna Poultry Farm (1966, above), Estonian Research and Land Reclamation Research Institute pavilion (Saku, 1969), Plant Protection Center (Saku, 1975), a State Farm Technical School (Jäneda, 1975), breeding and veterinary buildings for livestock (Saku, 1977), a state farm canteen (Audru, 1978), the Institute of Cattle Breeding and Veterinary Science (near Tartu, 1984) and an addition for the Estonian Academy of Agriculture (Tartu, 1984). Pormeister’s talents in architectural and landscape design were recognized through several state awards presented by Estonia and the Soviet SSR. On the occasion of her 50th birthday in 1972, she became the first architect in Soviet Estonia to hold a personal exhibition that, housed in the Flower Pavilion, which was complimented by a flower exhibition of her own design. Her work has been the object of great interest in the preservation movement of modernist architecture; two of her works have been listed as national monuments (the Flower Pavilion in 1997 and the Poultry Farm building and landscape in 2001). Natalie Griffin De Blois (1921-2013) was one of the most successful women in American architectural practice at mid-century, although her contributions to Modernism in America have been eclipsed by the men with whom she collaborated. Born in New Jersey to a family of engineers, De Blois determined from an early age to go into architecture. After education in Oxford, Ohio, she completed her architecture studies at Columbia. The fact that her class of 18 included six women was more about the wartime population than any contemporary increase in gender equity in architectural practice. De Blois worked primarily at Skidmore, Owings and Merrill (first in the New York office and in Chicago after 1961), frequently listed as senior designer or design coordinator for vast headquarters projects including those for Lever (1952), Pepsi (1960, above), and Union Carbide (1960) all New York, the Equitable Life Assurance Company in Chicago (1965), Ford in Dearborn (1956), and the Connecticut General Life Insurance Company in Bloomfield (1957). However, it is the better-known men of SOM, like Gordon Bunshaft, who have historically received all of the credit for their joint work and, in this case, a Pritzker as a result of it (in 1988). In the same year that De Blois was inducted into the AIA’s College of Fellows–the only woman among the 60 new fellows in 1974–she co-founded Chicago Women in Architecture with Carol Ross Barney, Cynthia Weese, and others. Soon thereafter she removed to Houston, joining Neuhaus & Taylor and six years later starting to teach architecture at the University of Texas. De Blois also led an American Institute of Architects initiative to interview female students in architecture programs around the country to better understand gender disparity in education. In an oral history archived by the Art institute of Chicago, De Blois named being a mentor to other women as one of her greatest contributions to the field. One of the first female architecture students in Turkey, Mualla Eyüboğlu Anhegger (1919-2009) distinguished herself through a career dedicated to the heritage of her country. Born at the close of World War 1, Eyüboğlu grew up during Atatürk’s modernization of Turkey as a new Republic and secular nation-state. After completing her education at the Academy of Fine Arts, University of Istanbul, between 1936-42, she was appointed head of the Construction Department near the capital of Ankara. There, she developed projects for government-sponsored teaching institutes and later taught architecture, drawing, and art history at one of them. 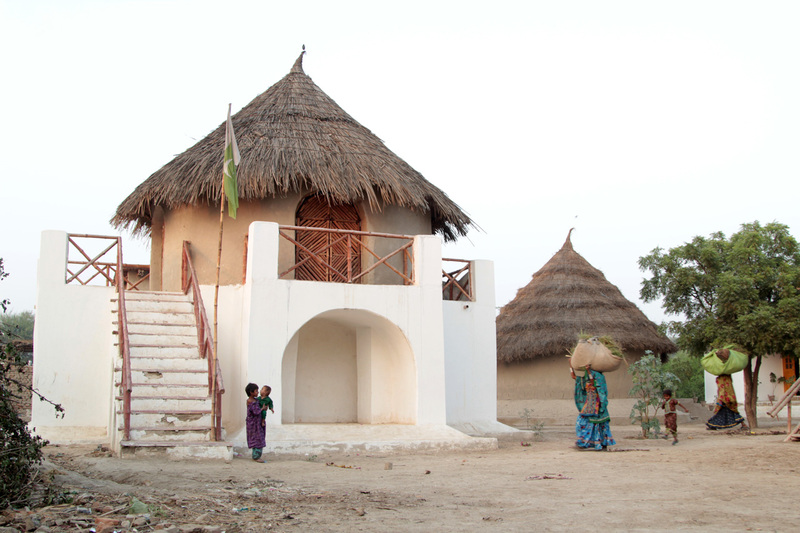 Overall, these “village institutes” were part of the modernizing campaign for rural populations. After teaching urban development for a time at the Academy of Fine Arts in Istanbul, Eyüboğlu found herself politically sidelined with the rise to power of the Democrats. Starting in 1949, she engaged in a new field, taking part in archaeological excavations at the Hittite capital of Yazılıkaya and at Ephesus. These formative experiences, working with people who still lived highly traditional lives with highly traditional buildings, soon led to work with the High Council of Antiquities and Monuments (Gayrimenkul Eski Eserler ve Anıtlar Yüksek Kurulu), completing restorations throughout Turkey on centuries-old buildings including baths (like the Gazi-Mihal-Hamam above), bazaars (Edirne), schools (Buruciye Medrese, Sivas; Zinciriye Medrese, Mardin), mosques (Üç-Şerefeli Mosque, Edirne; Hunat Hatun Mosque, Sivas; Süleymaniye Külliyesi, Istanbul), fortresses (Rumelihisarı, Istanbul), and an extensive, ten-year project on the harem of Topkapı Palace, Istanbul. Except for a brief stint in Amsterdam after her marriage, Eyüboğlu remained committed to the architectural heritage of her country, working on the restoration of Ottoman and Hittite architecture until her retirement in 1981.